I tried a 'gradient mani' that involves solid colours over four finger nails rather than within each nail. 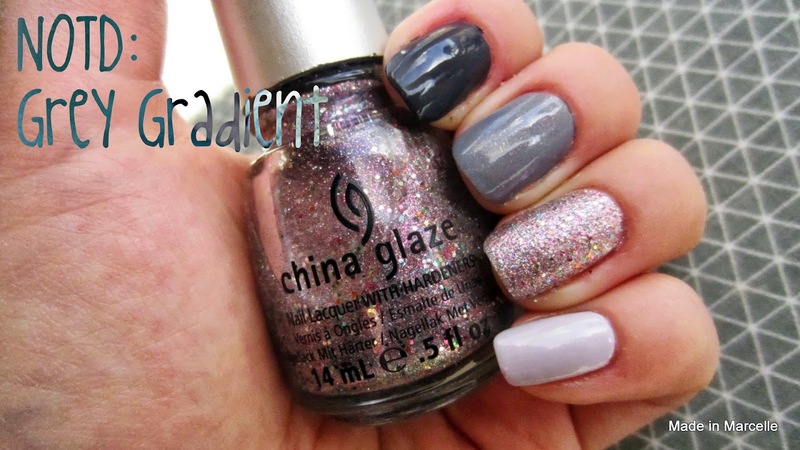 China Glaze - Full Spectrum is one of my favourite polishes that goes with every look. 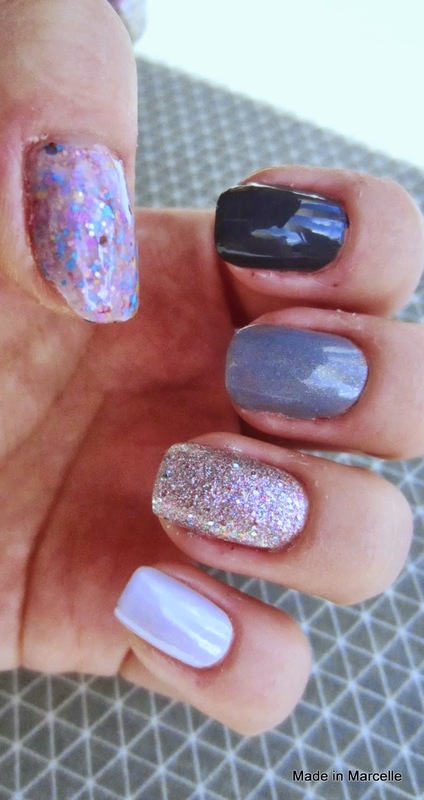 But being a glitter polish, it's a pain to remove. I've always regarded FOA - Castle on a Cloud a pastel purple colour but turns out it has a grey undertone as well.